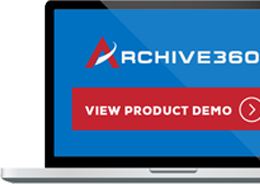 NEW YORK – March 6, 2018 – Archive360, a leading provider of data migration and information governance solutions for the Microsoft Cloud, today announced the launch of its Microsoft Azure-based, long-term archive for medical DICOM images. Archive360’s Archive2Azure now provides a low cost alternative for healthcare organizations and providers to archive, manage, store, and retrieve these very large medical images quickly. In doing so, these organizations are able to comply with regulations such as HIPAA, with secured fast access, and review. With Archive360 Archive2Azure, medical organizations and professionals can automatically move aging DICOM images to the Azure cloud platform. Image transfer policies, set by the healthcare organization, operate within the PACs environment to move older images to the Azure cloud platform while still making them retrievable through the PACs system. Archive2Azure now also uniquely offers encrypted and immutable storage of Dicom images using the organization’s own encryption keys in the images’ native format. 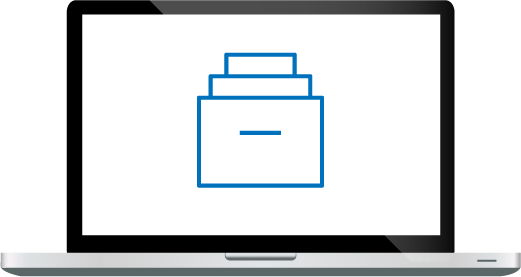 “Currently, hospitals and other healthcare organizations and providers are forced to save huge DICOM images through their PACS systems to expensive on premise storage systems. These DICOM images can be hundreds of megabytes to gigabytes in size. Depending on the patient and situation, these images must be kept for years – potentially indefinitely,” said Bill Tolson, Vice President of Marketing, Archive360. “Archive2Azure is able to manage and store DICOM images in the Microsoft Azure cloud platform for up to 90% less cost than on premises storage systems. Moreover, Archive2Azure is able to operate seamlessly with the PACs systems to manage and move images, based on age, automatically. A key differentiator for security conscience healthcare organizations is the images are stored in their Azure tenancy in their native format. Archive2Azure utilizes organization-defined policies to move the images form on premise storage to Azure. Recent research from Research and Markets revealed the global market for medical imaging systems was valued at approximately USD $53.0 billion in 2016 and is expected to reach USD $74.1 billion by 2023, growing at a CAGR of around 5% during the forecast period of 2017 to 2023. Archive2Azure’s main value is that instead of high capacity, aging, and little accessed images filling up expensive on premise storage resources, low-to no-touch images are automatically moved to much lower cost and highly secure Azure Cloud storage. In addition to the tremendous cost savings, Azure delivers the ability to replicate images geographically across multiple Azure datacenters thereby ensuring disaster recovery (DR). Geo-redundant storage (GRS) is designed to provide at least 99.9999999999999999% (16 9’s) durability of objects by replicating the images to a secondary region that is hundreds of miles away from the primary region. To learn more about managing healthcare data – including images, in the cloud, please visit: https://www.archive360.com/industries/healthcare/. Copyright ©2018. Archive360 is a registered trademark and Archive2Anywhere, Archive2Azure, and FastCollect are trademarks of Archive360, Inc.